It’s one of the most frustrating problems in the lab. You’ve been pipetting out of a conical tube and just as your about to finish, you realize you can’t reach the last bit of solution. Depending on the type of solution, your options are now limited. 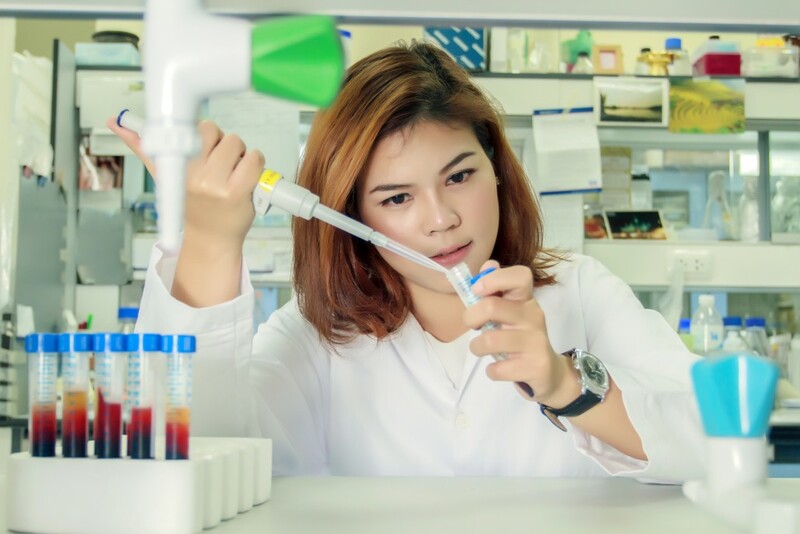 Transferring the solution to another container would increase the risk of contamination, but without the rest of the solution your experiment is ruined. To solve this problem its best to look at the tools directly involved, the conical tube and your pipette tips. The conical tube has been a long time staple in the lab. With a variety of uses, including centrifugation and storage. The conical tube can be found in any well stocked lab. Generally manufactured out of polypropylene, conical tubes come in both 15 mL and 50 mL volumes. These tubes are DNase, RNase, DNA, PCR inhibitor & endotoxin free. Providing the perfect conditions for almost any centrifugation. While the conical tube has many reliable features, few are directed to make pipetting easier. The 15mL conical tube has a small opening, which makes pipetting the entirety of a solution difficult. A possible solution may be to use a 50mL conical tube, which has a wider mouth. This solution runs the risk of increasing lab waste and wasting lab funds with unnecessary purchases. If a conical tube is a staple of labs, than the tips are the foundation. Practically every experiment uses tips at one time or another. What most people do not realize though, is that not all tips are created equal. When pipetting your standard tip will meet most needs. Unfortunately, when it comes to getting the remaining volume out of a conical tube the standard tips just don’t measure up. No really, the problem is just that simple. A standard pipette tip measures out at 1.9 inches, while your standard conical roughly measure out to 4.5 inches. Making up that difference can be difficult and results in unreachable solutions. The answer to your problem can be found in the form of an extended length pipette tip. With all the other versatile features of a standard tip, the extended length tips measure at 3.3 inches. The extra 1.4 inches on these tips allows for easy aspiration of your full sample. With the ability to aspirate the entirety of your sample, you reduce your chance of contamination and ensure the production of reliable data. These project saving tips come in the following sizes: 10 uL, 50 uL, 100 uL, and 1250 uL. 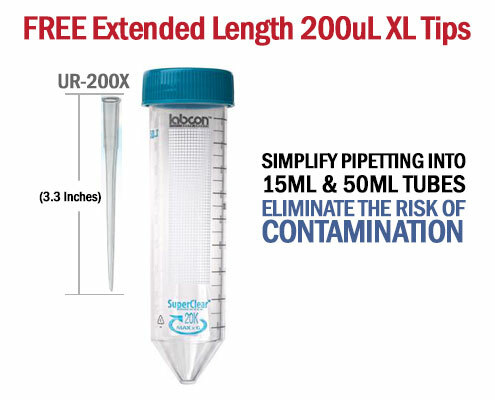 Pipette.com makes this solution even more lucrative with our Labcon conical tubes special. When you purchase 2 cases of 15mL or 50mL tubes, you will get 1 FREE pack of UR-200X tips. That’s means you get a total of 576 problem solving extended length tips absolutely free, a total savings of 25% per order. To find out more about our Labcon conical tubes special or any of our great products, contact at us by email or phone.